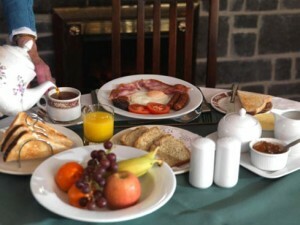 Ireland is the perfect destination for a walking holiday and Farmhouse B&Bs make the ideal base. If you want a walking holiday to remember, pack your walking boots and make your way to the Emerald Isle. 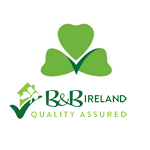 Farmhouse bed and breakfasts are located throughout Ireland and are surrounded by countryside, mountains, beaches and parklands that were made for a walking adventure. 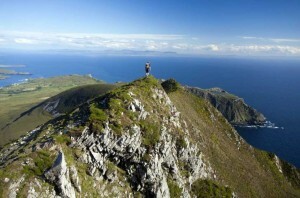 The Wild Atlantic Way on the West coast of Ireland is a dream location for walkers. There are mountain hikes, cliff-top and coastal walks and endless walking trails to keep the most avid walker challenged and captivated. From the Sliabh Liag Cliffs in Donegal and the Greenway traffic-free walking trail in Mayo, to the Burren in County Clare and the Kerry Way in County Kerry, each walking trail is as spellbinding as the next and competitive for the most amazing views. From The Causeway Coast in Northern Ireland to the Beara Peninsula in Cork and Kerry and every county in between, you’ll be astounded by the mix of scenic walking routes and hiking trails that you can enjoy. With Ireland’s Ancient East experience, there are endless historical trails that offer an insight into Ireland’s past with castles, stately homes, ancient ruins and mythological and archaeological sites aplenty. Ireland’s cities, towns and villages are perfect for an informative leisurely stroll. In fact, cities such as Dublin, Waterford, Derry and Limerick are so compact that they are best explored on foot. 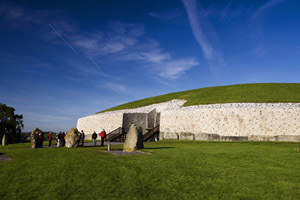 You can avail of a guided tour that will take you around the must-see sites and significant historic locations. After a wonderful day exploring the Irish countryside, you can return to your comfortable farmhouse accommodation to relax and unwind. With such comfy surroundings, a wonderful night’s sleep is guaranteed. In the morning, you can tuck into a traditional Irish fry which will undoubtedly set you up for the day ahead. Your B&B host will be on hand and at the ready to help plan your next day’s walking expedition.